This post is for those people who want to save as mush space in their apps as the can. We provide the possibility to attach the menu to the layout header. And it can be done quite easy, let’s see. 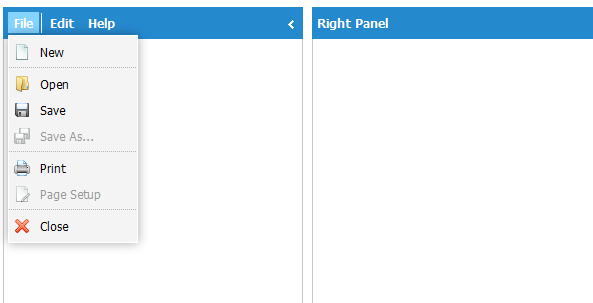 We attach the container for the menu in the layout header. Then we init the menu in the created container. Final step is adding some CSS to make it nice :) The following code is for SkyBlue skin. We hope that some of you will find it useful for your apps. Feel free to leave your comments below. This is much easier, cleaner and less chance of messing it up. Because we have “expand/collapse” button in the header that we need to leave. 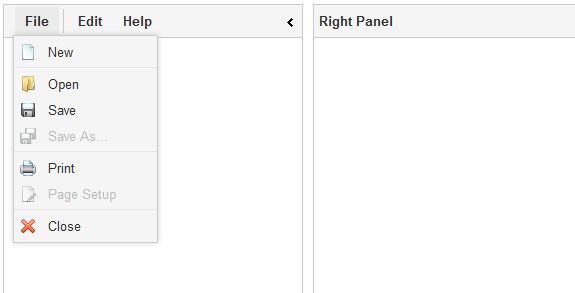 If we just attach the menu separately and hide the header, the button mentioned above will also be hidden. Makes sense. That’s what’s great about dhtmlx, the components can be dropped into divs on any page or added to other dhtmlx components using APIs. Endless possible combinations.